Don't blend in with the crowd! Stand up and make a statement with the Dominique glide rocker. The bold fan-shaped back creates a balance with the heavy Espresso-finished base. Curved arms give a soft flair to this modern chair. While the look may stand out, the comfort will be unforgetable. The unique long-glide feature makes rocking smooth and effortlesss. 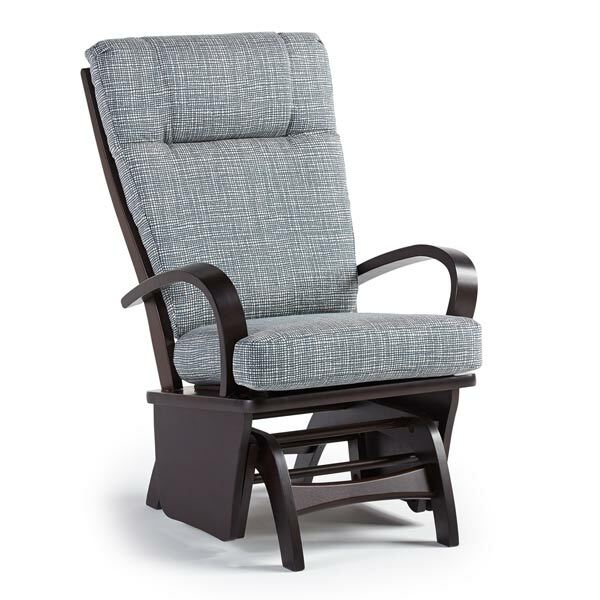 The seat cushion is reversible and the back cushion is removable with snaps in the back. Choose from over 700 fabric options to create the perfect look for your home. 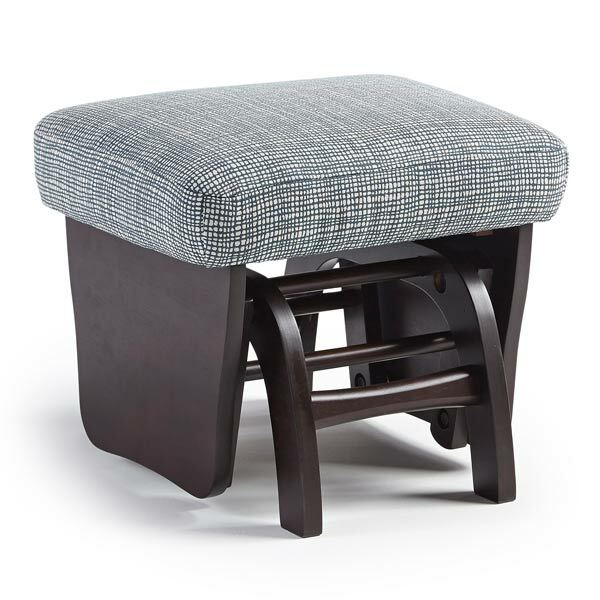 A matching glide ottoman is also available.